For the complete list of resolved issues, please visit the release page on Github. selection handling is one of the most essential features of any text editor or word processor, I just had to get this right, so I rewrote large parts of it for this release. It took me two attempts until the code looked right and everything clicked together, but I think the effort was well spent, and any remaining bugs should be easily fixable. Compositor cannot yet handle documents built up from several source files (see this post on current limitations). 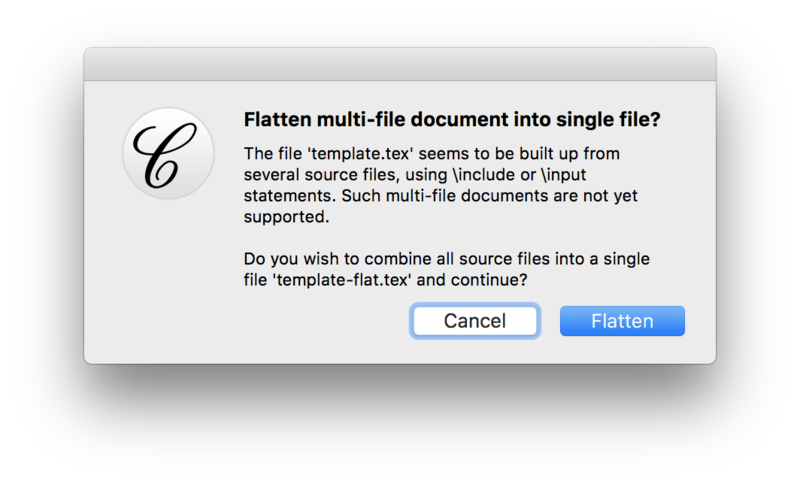 At some point in the future, this will probably be supported, but for now, all you can do is consolidate, or “flatten”, multi-file documents into a single file. Compositor 1.4 comes with a German localization. If you want to help with translating Compositor into your language, please let me know. Release 1.5, scheduled for September 25, will bring some UI improvements.